Superhero sequels are everywhere this year, from the mega mash-up of Avengers: Infinity War to the crude crusade of Deadpool 2, and we still have Ant-Man and the Wasp to look forward to, along with Justice League spin-off Aquaman. But there’s one big super squad that made a long awaited return to our screens in 2018: the Incredibles. Yup, Pixar’s mightiest heroes are finally getting a sequel, a mere 14 years after their incredible (*ahem*) debut. Here’s everything we know about Incredibles 2, from the release date and cast through to the latest trailers and plot rumours. We've seen the film, and so go read our review. We've also answered the question of whether or not there's an Incredibles 2 post-credit scene - and whether it's worth waiting for. 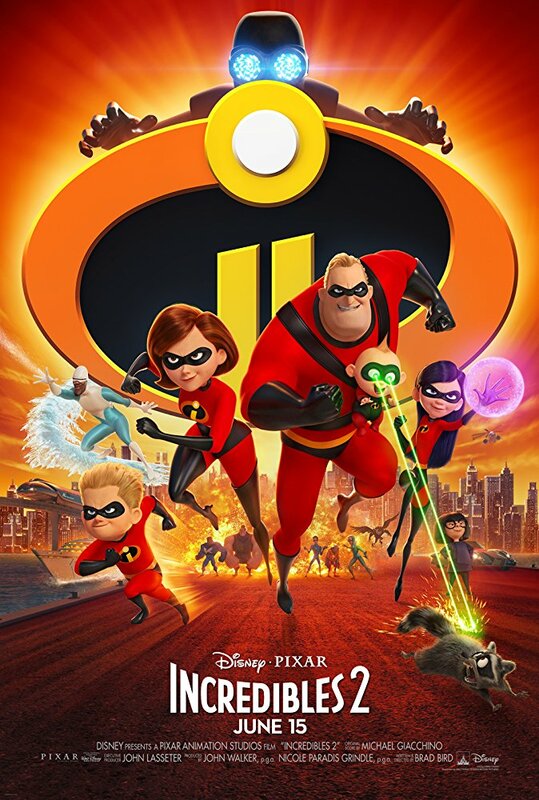 Incredibles 2 is now long gone from most cinemas, which means it's time to look forward to the home entertainment release. In the US you're able to buy a digital copy, and a DVD, Blu-ray or 4K UHD copy. If you're in the UK you can buy the digital edition or the Blu-ray, 4K or DVD. In the meantime, you can always entertain yourself by revisiting the original: grab it on disc from Amazon, or download/rent from iTunes or Google Play. First up, the good news: most of the main cast from the first film is back. Of the central family, Craig T. Nelson, Holly Hunter, and Sarah Vowell are all back as Mr. Incredible, Elastigirl, and Violet respectively - the only real change is that Huck Milner has replaced Spencer Fox as Dash. We also assume they had to get a new baby to play Jack Jack, but that hasn’t been officially confirmed. Just as importantly, Samuel L. Jackson is back to play Frozone, the true heart and soul of the franchise. When it comes to new voices, there’s a bit of a Breaking Bad/Better Call Saul reunion as Jonathan Banks and Bob Odenkirk join the cast as Rick Dicker and Winston Deavor, while Catherine Keener plays the latter’s sister, Evelyn Deavor. Dicker is a returning character, an NSA agent (voiced by the late Bud Luckey last time around) who’s tasked with cleaning up after supers. Meanwhile the Deavors are the rich Silicon Valley types to hire Elastigirl as their own personal superhero - and, we’re gonna go out on a limb here, may turn out to have a dark secret or two. Just a hunch. Behind the camera (drawing board? Illustration software?) you’ll likely be pleased to know that Brad Bird is once again the sole writer and director, so the film is in good hands. Since The Incredibles he’s been busy making the very excellent Ratatouille and Mission: Impossible - Ghost Protocol, and the slightly less excellent Tomorrowland: A World Beyond, but we’re very glad to see him back in charge of our favourite family. Pixar has really brought its A-game to posters for Incredibles 2, with a string of one-sheets boasting art deco illustrations or teasing the comic potential of superheroic family life - click through our gallery to check out some of our favourites. There are also plenty of official images which tease some of the film’s best gags and action beats, along with Elastigirl’s new costume - and don’t worry, there isn’t a cape in sight. If you’ve watched all the clips above then you should already have a pretty good idea of what to expect from the superhero sequel, though Pixar and Disney are doing their best to keep the details of the plot under wraps. The film picks up right where the first left off, with the sudden arrival of the dastardly villain The Underminer - a knowing nod to Mole Man, the villain in the very first Fantastic Four comic. The trailers show off the Parrs working together to take down The Underminer, but along the way there’s plenty of property damage - which serves as a reminder that superheroes are still illegal, leaving the family stuck contemplating a normal life. That’s when Elastigirl gets a job offer: superhero for hire for Winston and Evelyn Deavor, who want to use her to give heroes their good name back - while Mr. Incredible is left with the less glamorous job of raising the kids. Cue teen angst, maths homework, and all the joys a superpowered toddler has to offer. Naturally there’s a bit more to it than that, and the spanner in the works is new villain Screenslaver, who uses TV screens and monitors to hypnotise people - including a team of supers being used for Screenslaver’s evil bidding. Now we’re gonna take a wild, wild stab in the dark and call it now that Screenslaver is one or the other of the Deavors - or indeed both of them working together. They have the money and technical know-how to pull it off, the investment in bringing superheroes back into the public eye and, most important of all, the tragic backstory: their father loved superheroes, but died in a robbery after they were outlawed.